Ryann Stefaniak (10/upper left) led Batavia with 20.1 points per game. Alan Paige (20) scored 20.3 for Irondequoit. Bayley Teal (bottom left) scored 18.1 for Penfield. Brianne Moxley (12) had 15.9 per game. Alana Fursman (21) led Mendon to a NYS Class A title with 16.8 points per game. (Photo contributions: ALEX BRASKY, SCOTT CORDARO, DENNIS JOYCE AND JOE BRADT). 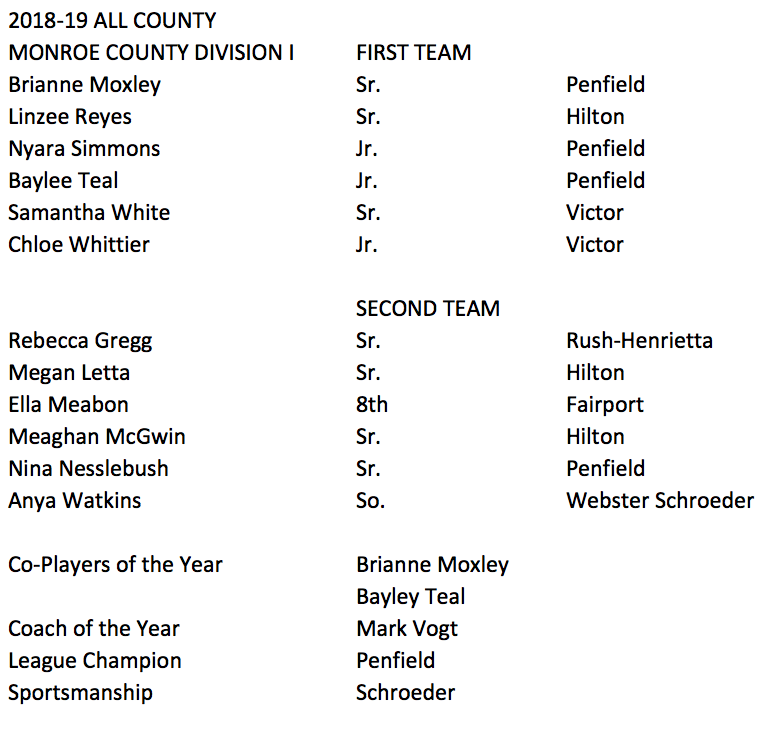 Baylee Teal and Brianne Moxley led all Monroe County Division I scorers and their Penfield squad to a divisional title. 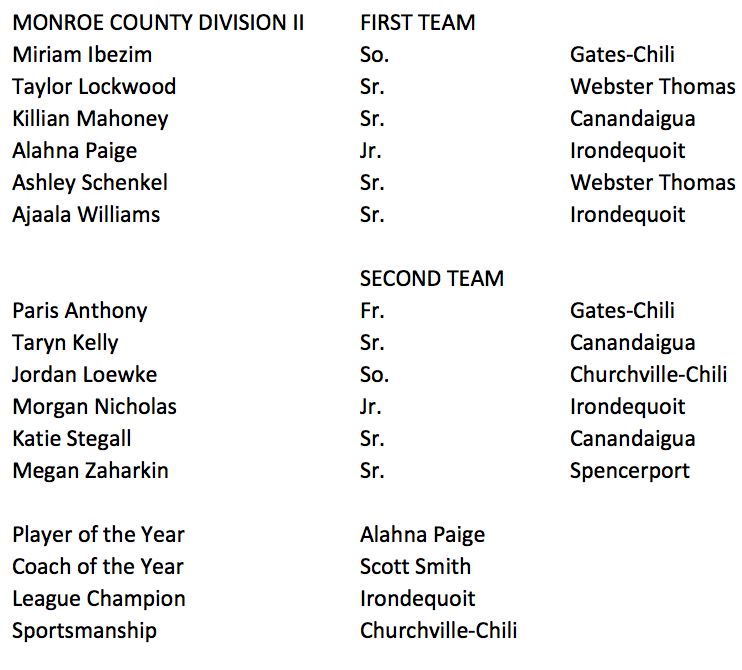 Irondequoit’s Alahna Paige finished fifth in Section V scoring. Alana Fursman posed a threat on both sides of the ball throughout the regular season and to Pittsford Mendon’s first ever state title. Ryann Stefaniak lifted Batavia to No. 1 seed. 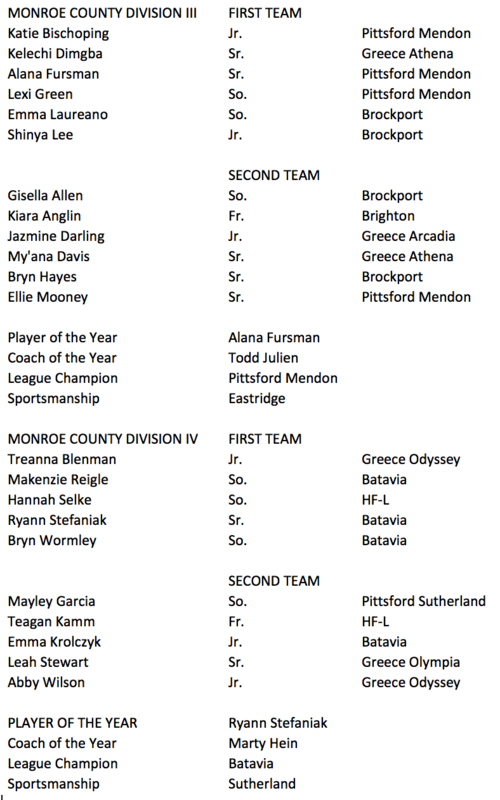 Monroe County recognized these five as Player of the Year for their individual divisions. With Teal and Moxley both in Patriots’ uniforms, it’s no surprise the Penfield Patriot finished the regular season at the top of the division and at 21-2 overall. Teal totaled 417 points throughout the season, the highest in Division I. The junior guard averaged 18.1 points per game. Moxley finished at number two in Division I scoring with 366 total points. The senior averaged 15.9 points per game. Another Patriot landed a spot on the First Team; Nyara Simmons with 11.9 points per game. Joining them are Hilton’s Linzee Reyes (13.2 ppg, 216 rebounds) and Victor’s Samantha White (14.3 ppg) and Chloe Whittier (15.3 ppg). VIEW MORE DENNIS JOYCE PHOTOS HERE. During her junior campaign, Paige ended the season at fifth in total season points in Section V. While averaging 20.261 points per game, the Irondequoit guard added up 466 points. She also totaled 70 assists and 60 steals as Irondequoit ended the season at the top of Division II with a 14-9 overall record. Paige’s teammate Ajaala Williams joined her on the First Team after racking up 160 rebounds and 36 blocks. 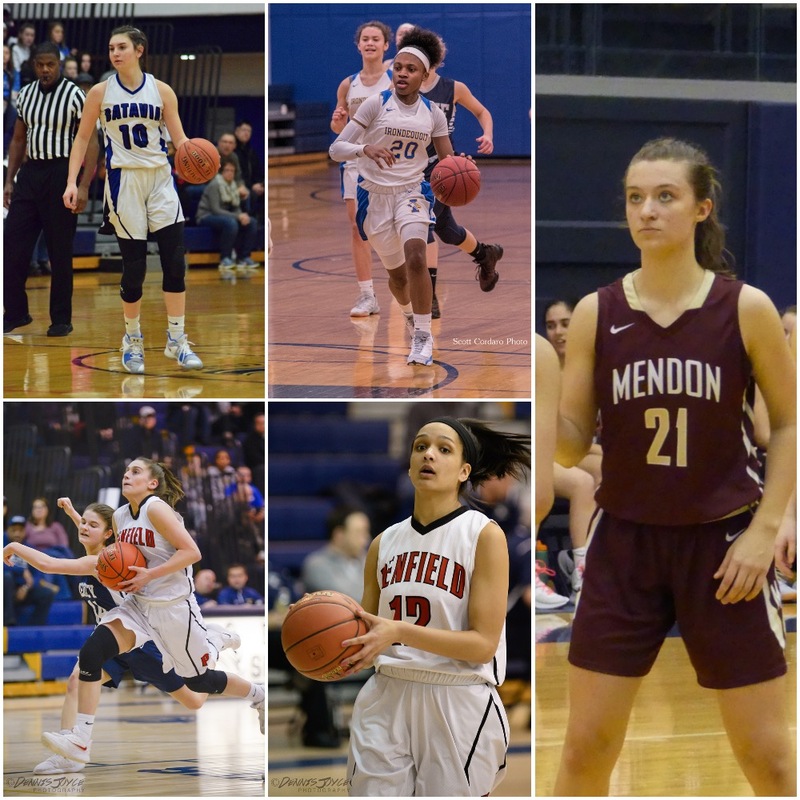 Gates-Chili’s Miriam Ibezim averaged 17.9 points per game and totaled 282 rebounds, the second-most in Section V. Webster Thomas teammates Ashley Schenkel (12.9 ppg) and Taylor Lockwood (12.8 ppg) and Canandaigua’s Killian Mahoney (14.3 ppg) also earned spots on the First Team. From the Class A state championship squad, Fursman, Lexi Green, and Katie Bischoping earned spots on the Division III First Team. Mendon’s (25-1) senior guard Fursman averaged 16.8 points per game on her way to 402 points on the season, grabbing the player of the year honors. Green, a sophomore guard, averaged 13.4 points per game for the Vikings, while Bischoping, a junior guard, averaged 10.9 points. Joining them on the First Team are Greece Athena’s Kelechi Dimgba and Brockport’s Shinya Lee and Emma Laureano. Dimgba landed third in Section V with 275 rebounds and tallied 356 points with 15.5 points per game. Lee, the six-foot junior center, was a powerhouse on defense with 239 rebounds and 108 blocks on the season. Sophomore Laureano averaged 10.435 points per game. VIEW MORE SCOTT CORDARO PHOTOS HERE. Stefaniak led the Batavia squad to a 19-3 final record, a league title, No. 1 seed, and to sectional finals. The senior guard averaged 20.1 points per game, hitting a season-high 35 points twice, including her final game as a Blue Devil. She totaled 441 points, 118 rebounds, 86 steals, 59 assists, and 37 blocks. 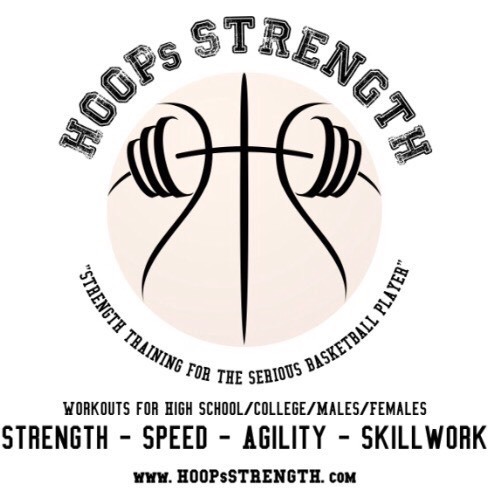 Her teammates Makenzie Reigle (10.6 ppg) and Bryn Wormley (11.4) join her on the First Team. Greece Odyssey’s Treanna Blenman landed a spot on the team and a six-spot in Section V points with her 446 total points. Blenman averaged 20.3 points per game. 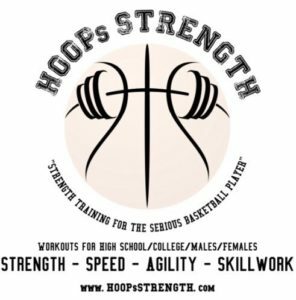 Sophomore Hannah Selke from Honeoye-Falls Lima earned the nod after averaging 12.6 points per game. Monroe County also recognized Mark Vogt (Penfield), Scott Smith (Irondequoit), Todd Julien (Pittsford Mendon), and Marty Hein (Batavia) as the Coach of the Year for their respective division.